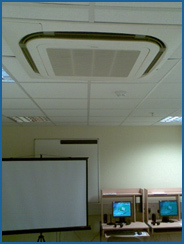 We at Metair have more than 20 years' experience in the air conditioning industry and are able to help you decide which type of system will best suit your business, before taking care of all the installations on your behalf. 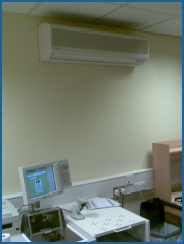 Not only will you be receiving a friendly service from a talented and skilled team of air conditioning contractors, you will be working with a company that understands the importance of considering the environment, taking this into account when helping you make the right decision both for your business and your surrounding area. Now covering Watford, approximately 25 miles away from our central location, we are able to offer our services to even more businesses, as well as those already associated with us through our impressive customer portfolio. 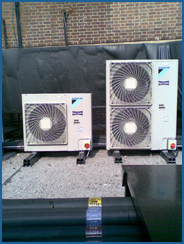 Based in Middlesex, we cover a broad area including customers in Reading and Slough, reaching over 60 miles, ensuring that your business is fully equipped and ready through our high quality air conditioning services. Our fantastic customer service means that you feel supported every step of the way and our team of experienced air conditioning contractors can also offer updates of your current system, meeting your needs at every level. Give us a call for a friendly consultation and help us find the best resolution to your air conditioning needs.